This was more than likely because of users complaining about visible screen tearing in the videos recently published by Sony, but Rustchynsky promised that it’s just an issue with the movie player on the site, and it won’t happen in the game. I have to agree with Rustchynsky about the issue, problems when uploading or loss of quality are common and is probably what they are seeing. We also learned that if you want to be a female driver you “most certainly” will be able to select a female character. Rustchynsky also promised that more details about character personalization will be shared later down the line. Another small detail is that you won’t be able to manually turn your headlights on and off, probably because they will do this automatically depending on the light conditions. 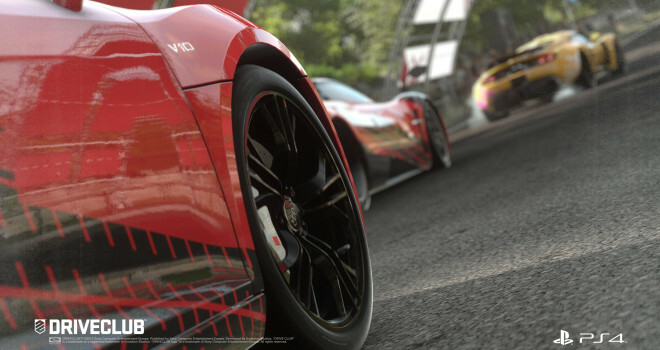 First person aspects of Driveclub are still part of the game, and more of them will be shown in the future which is nice cause it really makes you feel more like the driver.